Do you have any money left from the holidays? Or did you count the money you got from friends and family? 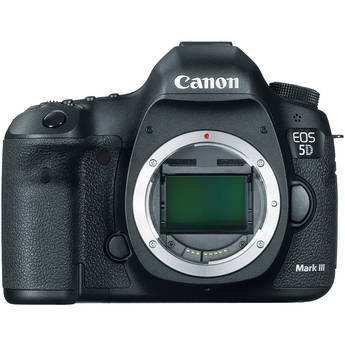 And have you had your eyes on a Canon EOS 5D Mark III? Well, Canon is selling a refurbished Canon EOS 5D Mark III for $2,239.37 plus tax and free shipping. That's 20% off (savings of $559.84) it's listed refurbished price of $2,799.21. It features a 3.2" LCD, 1080p video recording, 6fps continuous shooting, CF and SD card slots, mini-HDMI, USB connectivity, and more. Refurbished items from Canon get a 90-day warranty. If you're looking to save additional money, Mr. Rebates is offering 4% cashback (originally 3% cashback). You're saving an additional $90, making your purchase a total of $2,149.80 before taxes! For more information about Mr. Rebates, read our guide. A month ago, we made a post about our good friends over at CustomSLR announcing a new product on Kickstarter called the ProDot. Within a month, they exceeded their goal. We had the privilege of getting to play with the ProDot before it was announced and must say, this is a nifty and unique product. We'll have a full review of it when we get our grubby little fingers on them. In the mean time, continue reading for full press release. SAN JOSE, CA, December 17, 2012 – Custom SLR, a design company creating performance products that improve the shooting experience for photographers, today announced the general availability of its latest product, the Custom SLR ProDot. A textured, press-on dot, the ProDot easily adheres to a range of surfaces to provide more finite control and vibration dampening. 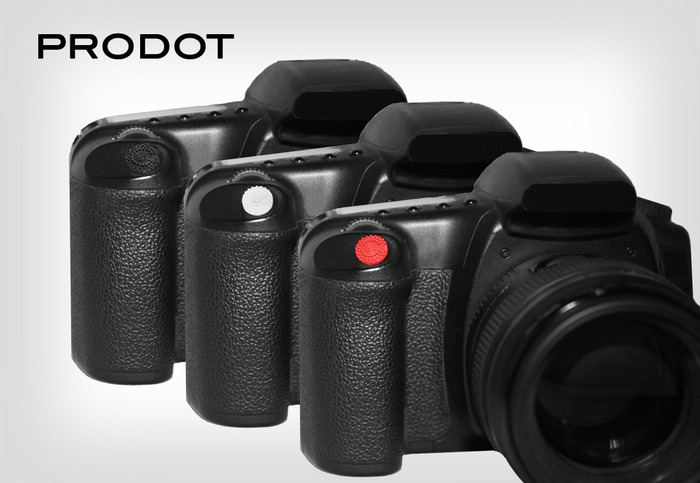 While initially designed to be placed on top of a camera shutter button to offer photographers a more seamless shutter-release, free of residual vibrations, the ProDot is a remarkably-simple and convenient accessory for virtually any push-button experience. Today’s announcement follows the close of the company’s latest Kickstarter campaign in which the ProDot vastly out performed its stated goal by more than tripling its funding target. Photographers have long sought more precision and control from their DSLR’s shutter-release, and the ProDot’s textured surface and raised button-padding allow for a more ergonomic feel and an instant improvement to that most critical engagement point, the shutter button. Despite this original design intent, the scope of use for the ProDot extends far beyond the photography market, as the opportunities for this simple adhesive dot are virtually limitless. For instance, any regular user of a computer mouse, from graphic designers to journalists, can attach a ProDot to their mouse for more reflexive clicks requiring less force, while heightening control and reducing the impact of repetitive stresses. Consumer electronics and video game enthusiasts will find their finite control enhanced with a ProDot’s no-slip grip and welcomed finger cushioning adhered to their controllers. Anyone from hairstylists to graphic artists will welcome the padding on any spray-can tab. The ProDot is just the latest of Custom SLR’s products to appear on Kickstarter. Its flagship offering, the C-Loop, which effectively eliminates the tangling of camera straps and enables the camera to hang safely at a photographer’s side, found overwhelming success with Kickstarter backers. Following the C-Loop, Custom SLR introduced the ergonomic Camera Split Strap and Glide Strap, which provide efficiency and comfort, as well as the multi-purpose M-Plate Pro Universal Tripod Plate System to its product line of must-have photographic accessories. Custom SLR is excited to bring the ProDot to the market, as a photographic accessory as well as an invaluable tool across the board. 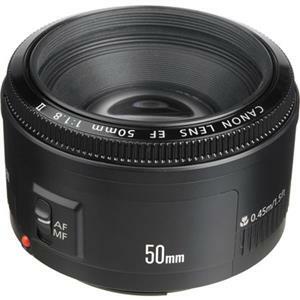 Adorama offers the Canon EF 50mm f/1.8 II "Nifty Fifty" Camera Lens, model no. 2514A002, for the in-cart price of $89.99 with free shipping. The lens weighs 4.6 oz. and is intended for use with Canon EF-mount SLR cameras. 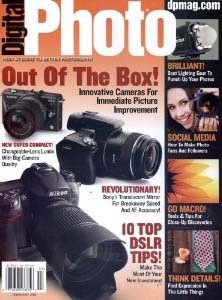 DiscountMags takes up to 75% off select 1-year magazine subscriptions as part of its Holiday Magazine Sale. Note that you can get up to three years at these per-year prices. *UPDATE* - After an uproar from the photography community, Instagram has back-pedaled on their decision and will not sell your images. 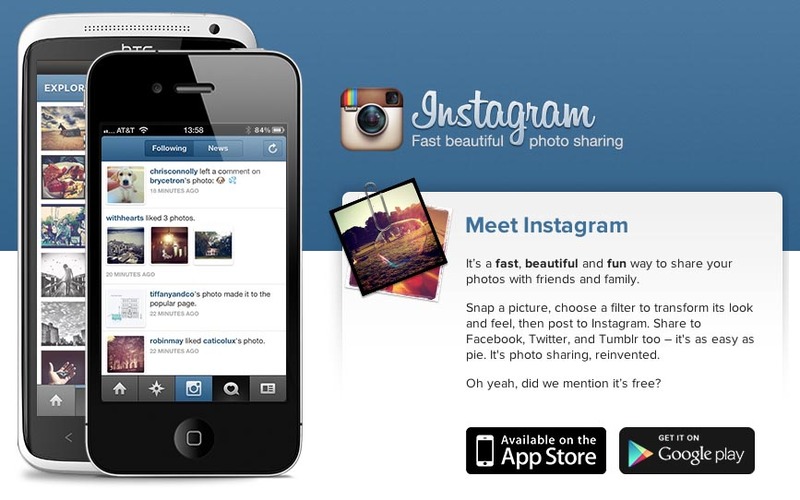 Instagram updated its terms of service on Monday, elaborating on how it can use personal data for advertising purposes, and making clear that user photos and information can be used across the web as the photo-sharing app works through monetization under Facebook. Instagram released an updated terms of service on Monday, and while it doesn’t seem like a fun read at first glance, it’s an important indicator of where the company is headed after its acquisition by Facebook. So far, people have expressed some concern about the updated “Rights” section of the terms of service, which explains what content a user has control over and what Instagram can do with that data, particularly sections related to advertising. While it doesn’t seem that Instagram’s rights as related to advertising are completely new, the updated terms, which will take effect on Jan. 16, do outline exactly what the company can do with your data. They also remind users that businesses can pay Instagram to use your data for advertising, and the company won’t always identify advertising on the service as being paid. “Some or all of the Service may be supported by advertising revenue. To help us deliver interesting paid or sponsored content or promotions, you agree that a business or other entity may pay us to display your username, likeness, photos (along with any associated metadata), and/or actions you take, in connection with paid or sponsored content or promotions, without any compensation to you. If you are under the age of eighteen (18), or under any other applicable age of majority, you represent that at least one of your parents or legal guardians has also agreed to this provision (and the use of your name, likeness, username, and/or photos (along with any associated metadata)) on your behalf. It’s not surprising that Instagram and Facebook are thinking about advertising and monetization strategies for the photo-sharing app, and Facebook recently announced that it planned to integrate user data with that from Instagram under new Facebook terms of service. Below are some “in cart” deals at B&H Photo. In order to see the sale price, you must add the product to your cart. In this day and age, more people are taking more photos than ever before and they're sharing them online with friends and family in record numbers. One of the most complaints I see online are that people blame the camera if the images aren't as nice as those you see online taken by other photographers. If you follow a few of these guidelines, you can improve the quality of your photos without having to purchase a higher priced camera. By purchasing a new camera, the pictures may still come out the same. There are also some useful information such as what is ISO?. 1. Composition - This is the most important rule in photography. This is the heart of a photograph. The easiest rule of thumb to learn and remember is the Rule of Thirds. Basically, you'll want to break your frame into nine squares of equal size. You'll want to try and align the subject of your photo along these lines and intersections and imagine the main image divided over these nine boxes. By using this rule of thirds rule, this will give you a more dramatic and visually interesting shot instead of your subject being dead center of your photograph. Many newer cameras have a rule of thirds grid overlay that you can activate when shooting. This will make things a lot easier rather than having to figure it out in your head. 2. Exposure Compensation - If you are shooting on a mode other than full manual mode, your camera will determine the "correct" exposure for the photo. In other words, it will decide how light and how dark the shot should appear. The camera looks at the scene and tries to determine the appropriate exposure based on the correct lighting on a 18-percent gray card which is why there are also special scene modes such as for snow. Without these special scene modes, the camera would try to make the white snow look gray. If a photo is too light or dark, there are a few other scene modes that are available to play with. You can also play with the exposure compensation. Many cameras have a physical button identified by a +/- symbol. If your photo is too dark, move the scale up above zero. If too light, move it down a bit until you feel its perfect. 3. Modes - There will be scores of shooting modes ranging from automatic to very specific scene modes. For fast action shots, you can put the camera in Shutter Priority (S) mode and increase the speed—setting it to 1/125 second or faster will help to freeze action. If you're in a building or outdoors where there is low light, you can use the Aperture Priority (A) mode to make sure as much light as possible enters the lens. If you're doing landscape shooting on a tripod, you can increase the depth of field by keeping everything such as foreground and background, sharp and in focus. 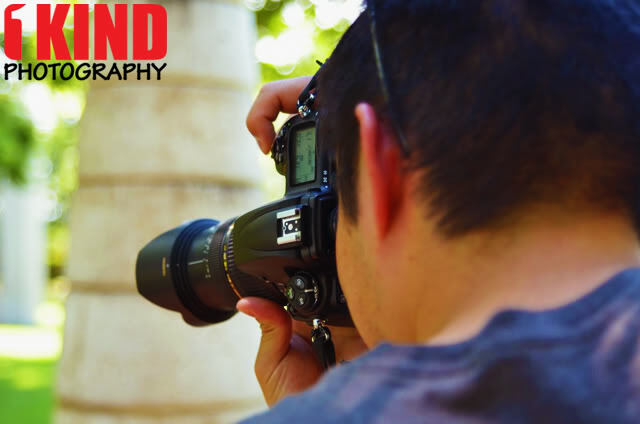 If you're more advanced or have the knowledge of what exposure, shutter speed and aperture, you can use Manual (M) mode. In addition to aperture and shutter, ISO plays a major role in photography. Read our tip for more information about ISO. 4. Lighting - Besides composition, you also have to pay attention to how much light is available and where it's coming from when you're taking pictures. Too much light in the background can cause your subject to become dark. If you're taking a picture of a building and you don't have the flexibility to relocate, you can use the camera's flash to fill in shadows. Depending on the lighting outside, you may have to manually activate the flash, as the camera will think that it's unnecessary on a bright day. 5. Flash - Many people tend to use flash too much. This will result in over-exposed images and nothing but pure white-out. If your subjects look too white, you're too close. If you're too far, your subject won't be lit by the flash. I highly suggest purchasing an external flash that goes on the camera's hotshoe. The built-in flash on the camera is not strong enough to light up your subject from a distance. Read our tip on how to do flash photography. 6. RAW or JPEG - This is a debatable topic. Some photographers prefer JPEG and some prefer RAW. Honestly, it's personal preference. JPEGs are compressed images with your camera settings embedded. RAW is just that. It's a raw file that has settings and layers attached. So when you import RAW files into a program such as Adobe Lightroom to post-process, you can adjust settings in the image without affecting certain areas. If you post-process a JPEG image, everything will change. Since RAW files are uncompressed, the file size will be larger compared to a JPEG file. Some cameras even allow you to save file formats. Of course, your memory card will fill up quicker. 7. Memory Cards - Memory cards play a major factor. Without these, you can't store images. There are many different types. The most commonly used memory cards are Secure Digital (SD) and Compact Flash (CF). Majority of cameras including pro-sumer cameras (higher end consumer model cameras but not quite professional) will use SD cards as it has become a standard. Higher end cameras such as for professionals will use CF cards or both cards. Storage capacity can range between 4GB to as high as 128GB*. 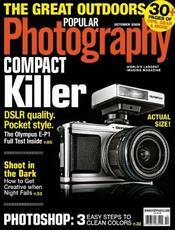 Depending on your cameras megapixel and your settings and composition of image, your image size can vary in size. As a good starting point, you should pick up either a 4GB or 8GB card. Some people like to store images on their cards so you'll need a bigger card and some like to transfer images to their computer after each shoot. You can perform a stress test on your memory card before using to ensure it doesn't fail on you while you're taking pictures and risk losing all the pictures you've taken. If your card does become corrupt and you need to try and recover your images, you can follow our tutorial on how to recover images. *as of this post, this is the biggest size available. As technology improves, storage size will increase. 8. Tripod or Monopod - Although we may think we're still and steady, we're not. Some of the best shots you see on the web is done with a tripod or monopod. It also comes in handy when you want to take that group picture of everyone including yourself by using the camera's self-timer without someone behind the camera pressing the shutter button or handing the camera to a stranger. There are many affordable products on the market and there are expensive models. I highly suggest getting a decent setup but without breaking the bank if you do photography as a hobby. Don't forget to factor in the weight of your camera and the tripod would need to be able to hold that weight. If you want portability, a monopod is what you would look for. A monopod is what it sounds; a tripod but missing two of its legs and leaving only one. This will help you stabilize your shots without having to take time to setup. 9. Camera Straps - If you're going to be carrying your camera for a long period of time, you want to be comfortable. Using the included camera strap that came with your camera, its the typical neck strap. You hang the camera around your neck and the camera hangs in front of you. This puts a strain on your neck and back. Some photographers extend the length of the stock strap as long as possible and places the strap across the body like a sling. Not only is this uncomfortable but a hassle to access when you do need to use the camera. For some suggestions on camera straps, be sure to check our full array of reviews on camera straps. 10. Camera Lenses - The camera itself plays a factor in how your pictures will turn out but majority of your investment in photography is the lenses. There is a reason why a lens can cost as much if not more than what it costs to buy a camera body. For a beginner, a 18-55mm kit lens (typically included with the camera) is OK. Its great for capturing images of your family and for vacations but when it comes to being creative or being able to take pictures in low light situations, that is where you will need to invest in better lenses with lower aperture (f1.8-f2.8). There are macro lenses which allows you to focus on very close objects that can fill the frame. I personally prefer a lens with a fixed aperture (f2.8) because whether its 70mm or 200mm, it will be the same and will allow more light in. 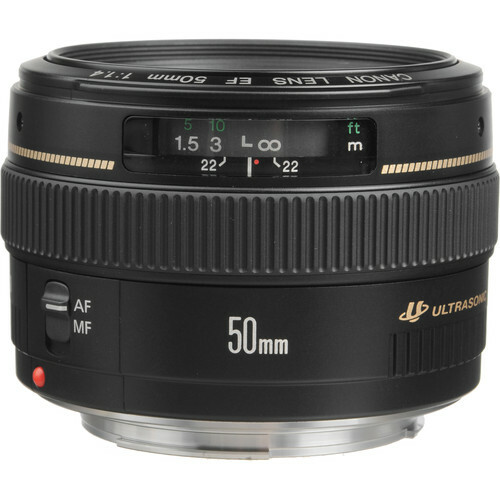 For lenses that have an aperture of f3.5-5.6, the aperture can vary based on the focal length. 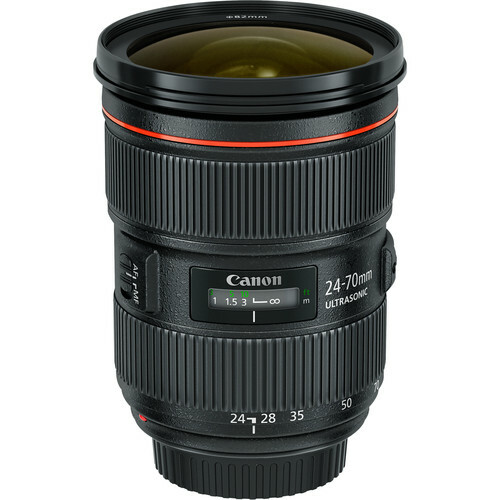 For example with the 18-55mm, at 18mm it will be at f3.5 but when you zoom to 55mm, it will automatically jump to f5.6. 11. Be Selective - You can easily take a few hundred photos within a few hours of shooting. With social media and online image sites, you don't want to upload everything. Some can be blurry, poorly composed, out of focus or duplicates. Spend some time and eliminate images you don't like. Be sure not to look through your images while you're shooting. What most people do is look at the preview on the LCD after each shot. Not only is this bad because it becomes a habit, but while you're looking at the screen you can be missing a great shot. 12. Post-Process - Not all pictures will be perfect. You'll have to crop, color correct, adjust exposure, remove red-eye and other basic editing tasks. Just performing the very basic editing on a photo can help improve the quality of the image. Cropping an image can help with composition and allow you to rotate the image so that the horizontal lines are straight. Such sites such as Picasa, Imageshack or Photobucket can help assist in post-processing. If you want to take it the next level with more control, there are such programs as Adobe Lightroom [Amazon | B&H Photo | Adorama] that can do more advanced editing. All your camera gear whether it be camera bodies, lenses, tripods, memory cards, programs and whatever you can think of, can be purchased from Amazon, B&H Photo and Adorama. I suggest these places not only for warranty purposes because they are authorized dealers but for their return policy as well. Of course, there are other authorized dealers but shop around and see who is giving the best offer. If you want to save more money, sign up for Mr. Rebates for cashback. You can save an additional 2%-5% on your purchase depending on online store. For more information about Mr. Rebates take a look at our guide. B&H Photo is selling the Canon EF 50 f/1.4 for $299. That's $100 off the regular price. In order to see the price, you have to add the lens to your cart. Canon enforced their MAP (Minimum Advertised Price) policy on retailers. This prevents retailers from advertising at a lower price lower that the price Canon has set for the item. It seems Amazon, B&H Photo, Adorama have all "unofficially" dropped the price of the Canon EOS 5D Mark III body to $2,999. Amazon shows the price on their page. But for B&H Photo and Adorama, you have to add it to your cart to see the low price.